Topic: No more Abbado / Berliner Phil Mahler? Has Abbado / Berliner Phil not finished recording their newest Mahler cycle? I've only found symphs #3,4,6,7 and 9. When are the others coming out? 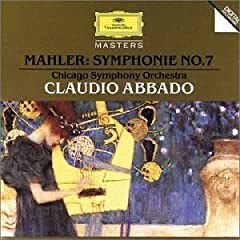 Re: No more Abbado / Berliner Phil Mahler? 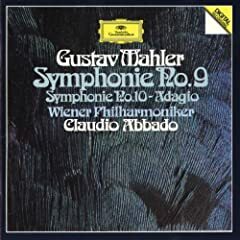 The 8th Symphony also exists, in a slightly less than heaven raising performance. Here it is on Amazon. You guys! No, no no! What about #1,2,5 and 8? Aren't they going to finish the series of the same look? 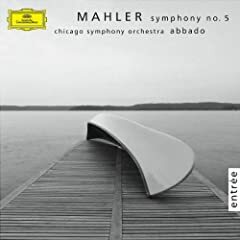 Since the last release was five years ago, and since Abbado is no longer music director in Berlin, and since he is re-recording Mahler with the Lucerne orchestra, I would say no: don't expect new recordings of 1, 2, 5 and 8 from Berlin. That's just a guess but I'd bet on it. What the heck does the damn CD cover matter? 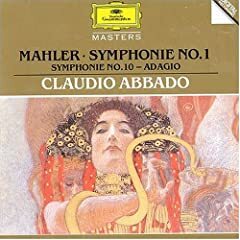 Do you think Abbado re-thought his interpretive approach just to match the new cover art? If you want those covers, the Lucerne recordings look the same for the most part. I was thinking that these earlier recordings are lying pretty much along the same timeline of the slightly later recordings - it looks like a 2nd DG cycle to me, irrespective of cover art. 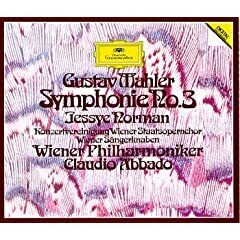 I thought Abbado did (or was going to record) two cycles: one from the 80's and this new 2000 set (see my attached 9th symphony cover). I thought these "new cd covers" were the new cycle he was going to do. Apparently, it's not going to get finished. you're forgetting his earlier VPO/CSO cycle. No, it doesn't look like Abbado is going to finish his Berliner live recordings. This shouldn't come as too big of a shock as Abbado hasn't been with the Berliners in quite some time. Can you post pictures or give a link to these so I can see what you mean? Those are the most recent (re-)issues I think. Some may be OOP, though perhaps available through Amazon marketplace. I have 1/10, 5 & 7, all of which are very good, though neither is necessarily a favorite. Can't compare to the BPO cycle, as I only have the live 6th. Have the 4, 5 and 2, which are very good. The 9 I had (that exact issue) and found it extremely unsatisfactory, and vaguely remember a problem with the audio (a buzzing noise) in part of it. There is no 8 in that line up? And is the 10 included with 1 a different performance from the one which is included with 9? I have 2/4 and 7 (just got it yesterday) from that cycle, and 6 and 7 from the Berlin series. 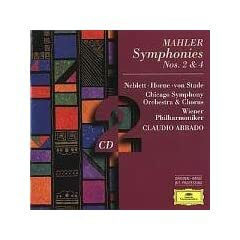 The CSO 7 is good, but not quite as good as the Berlin 7, which remains my favorite recording of that symphony. There is no 8 in that line up? There used to be, I think. But I couldn't find a recent issue. And is the 10 included with 1 a different performance from the one which is included with 9?